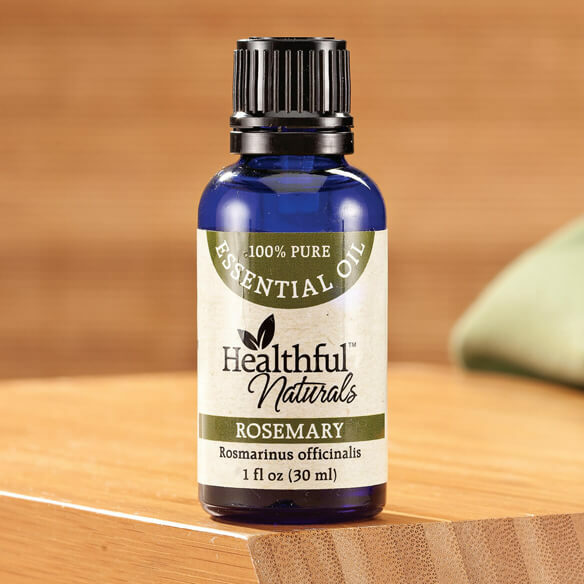 Healthful™ Naturals rosemary essential oil helps boost blood circulation while soothing aches and fatigue. Steam-distilling the leaves of the aromatic rosemary shrub produces an oil with a fresh, camphoric aroma that energizes the mind and body. Its primary active therapeutic component is cineole, which has stimulating, clarifying and cleansing properties. Rosemary oil supports healthy digestion, memory, circulation and hair growth. Helps clear congestion, soothe aches and calm nerves. Blends well with lavender, cedarwood and tea tree. Dilute in water for aromatherapy or carrier oil like jojoba, coconut or olive oil for topical use. Have used before, the product is good and the price is right. Also free shipping. Same as with Lavender, this will help me with calming and relaxing at night. For pain and I can tell you I swear by this that since I got it about 2 weeks ago it has been helping me out with red that I have plus sleeping and aniexty.I have been telling everyone about and have ordered for a friend of mine whip has ms she loves it too and now a couple of others have asked me about where to get it for pain. So far I am a satisfied customer and just ordered 2 more. I am replenishing my supply of this oil. I love to mix the rosemary, lemon, and lavender oils from Healthful Naturals together for a fresh aroma throughout my home. I have 4 diffusers in my home. I've been buying 10ml bottles. They run out too fast. This is a big bottle. Just what I need. Natural forms of pain relief are safer. Love the scent and I use it in my difuser.